It’s obvious I’m in denial over here about new seasons (seriously, summer just started), but I can’t bring you guys down with me!!! So, it only makes sense to do what I do best, and thats shop for sales! You got it…I’m all about shopping sales and especially at the end of season. 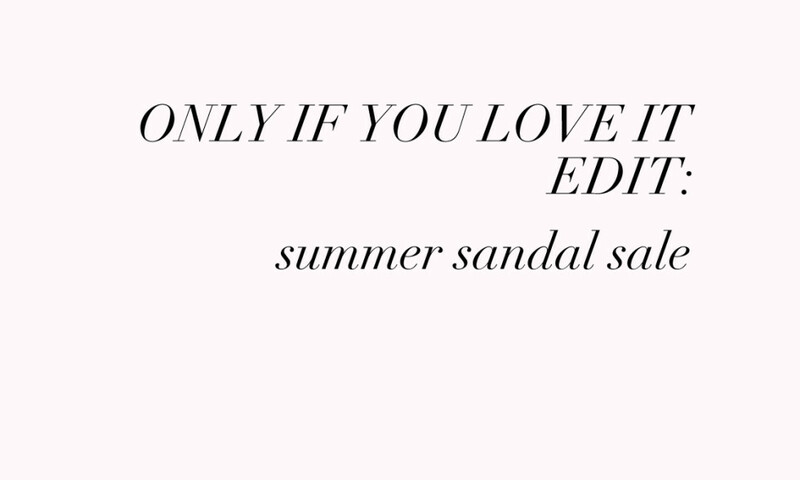 You might be thinking “how does that make any sense?” but honestly, you’ll be so happy you didn’t splurge on that pair of sandals come this time of the year. Since shoes are my weakness I’ve narrowed down some of my absolute favorites on sale that you can still squeeze into for the next couple of weeks, of course, unless you’re in Texas then make that the next couple of months. If anything, put them aside until spring and it’ll be like shopping in your own closet. Fun Fact: Call me crazy, but I like to shop my favorite Aussie brands for fall when it’s their summer.